I have been reticent to lay out any personal information, preferring to remain relatively anonymous, “a closed up sack” as the I-Ching puts it, while continuing to write, paint, and travel. My publisher insists that anonymity in the present era is as much of an illusion as the cult of the Rugged Individual: we are eternally tied to the rest of humanity for survival and long since noted in its information matrix, no place to hide or run away to, on top of which people want to know something of the author, one’s credentials for telling certain stories; they also want a cameo personality. “You must pretend you are the Literary Messiah,” she says, and all present laugh. Years of association with her suggest that she is likely correct as usual, so I will take a shot, based on the Apostles’ Creed. “I believe in God the Father Almighty, maker of heaven and earth, and in J.P. Dooley…”J.P. 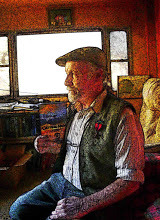 Dooley is a California native, graduate of the University, classicist, anthropologist, surfer, and soldier of the Vietnam War; peacenik, hippie, fisherman, forester; diver, landscaper, postman, climber; musician, painter, world traveler, and writer of historical fiction. He lives off the grid, solar power and candles, where the pavement ends and the always-world begins. His stories feature a constant mix of high and low: prurient lust and the transmigration of souls, the mind-trap of human incarnation and the sensuous freedom of being one with everything; the edges of reality–large other-dimensional beings with wings on their heads, fluid time, infinite space, the “Charlie Weaver Effect”—and that warm feeling of sitting close, bodies touching, laughing about nothing at all. Authors who influenced the telling of Getting High and its as yet un-named sequel include Harold Robbins, Robinson Jeffers, Bana Witt, John Steinbeck, Richard Brautigan, C. CE. Somerville and Martin Ross.